Looking to put some “spring” into your home cooking routine? We asked the head chef at a kids’ cooking school to share handy tips and a delicious recipe. Cooking for kids can feel like a thankless task. When kids reject new foods and haven’t got a clue how much effort went into prepping a meal, it’s easy to get frustrated. Now consider cooking with kids. Having your kid help in the kitchen can break down some of their prejudices and teach them to appreciate where real food comes from. ActivityHero talked with Chef Cindy Roberts of the popular Bay Area-based “La Toque De Cindy” cooking school to hear how an expert helps kids learn to cook. Roberts knows one way parents can broaden the palette of picky eaters: give them a say. “Have them taste test something… and suggest improvements,” advises Roberts. In her cooking classes, asking the kids to experiment directly with ingredients “gets even the most finicky eaters trying out what we made and giving it a second chance.” In other words, the more they know about how a dish is put together, the more they can keep an open mind, even about foods they weren’t keen on at the outset. When asked what the kids in her classes find most surprising about cooking, Roberts says that young chefs are completely “surprised at how easy it is to make some of the products they buy packaged at the grocery store,” including basics like chicken stock and mayonnaise. The homemade versions wind up being fresher and better-tasting. Empowerment and self-confidence: these two ingredients are welcome on any family menu. Here’s a savory spring-inspired recipe for you to try at home with your kids. The kid chefs at La Toque loved it (and ate their vegetables)! MAKE THE SHELL: Mix flour, salt, butter and shortening until mixture has the appearance of small peas. Add water a little at a time until dough holds together. Press into greased quiche pan (or pie pan). MAKE THE FILLING: Heat the olive oil in a large sauté pan. 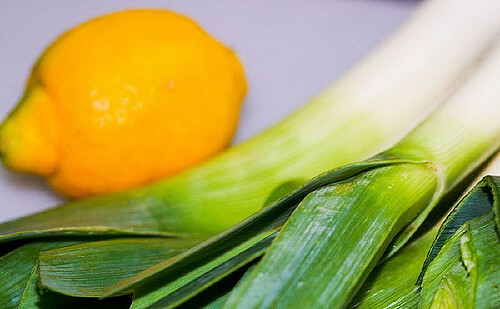 Saute the leeks for a few minutes until starting to wilt with ½ teaspoon salt and a few pinches of pepper. Add the garlic, cover and sweat for about 7 minutes. Remove the lid and sauté 2 minutes more. Mix leeks in a bowl with olives, thyme and parsley. Beat the eggs with the half and half. Add ½ teaspoon salt, a pinch of pepper and optional lemon zest. Spread the cheese over the bottom of the tart dough, followed by the leek mixture. Pour the cream mixture over. Bake for 40 minutes until set. Ready to explore more cooking? 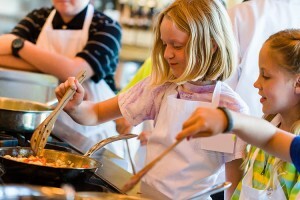 Find cooking camps and classes near you by visiting ActivityHero.com.